H and H Bagels, NYC. World's Best? H2O Brushed! UPDATE 9/4: I wanted to confirm that H and H bagels were brushed with water and not an egg wash, so they would be vegan. And today I got this reply from H and H: "Good morning, our bagels are brushed with water." -HandH customer service. Label Check: My research found that my favorite bagel, the whole wheat everything, has 160 calories per serving. 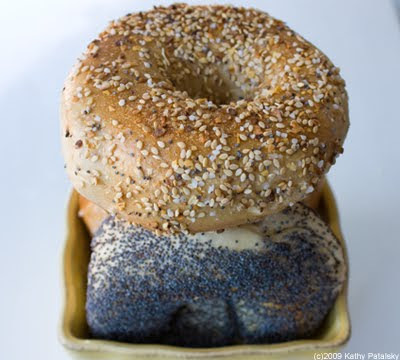 Two servings per bagel. 2 grams of fiber, 6 grams of protein and 0-.5 grams of fat. 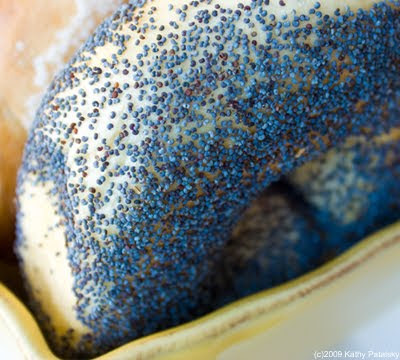 So since I'm guessing you will eat the entire bagel: 320 calories, 12 grams of protein, 4 grams of fiber and 0-1 gram of fat. 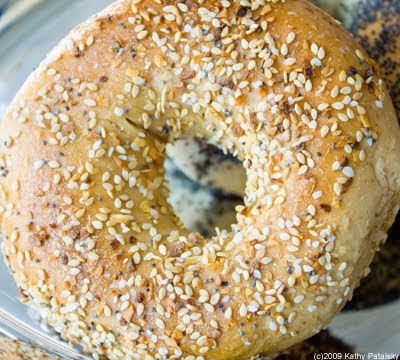 Who knew bagels have 12 grams of protein? Not bad. 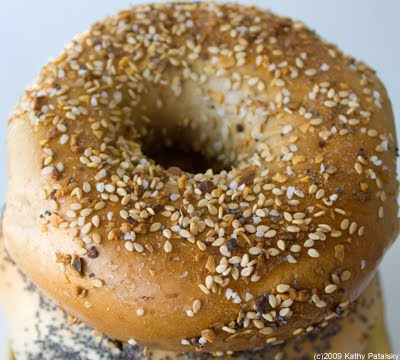 Yes they are high on carbs, but you are eating a bagel. Ingredients: High gluten flour, water, brown sugar, salt, fresh yeast. 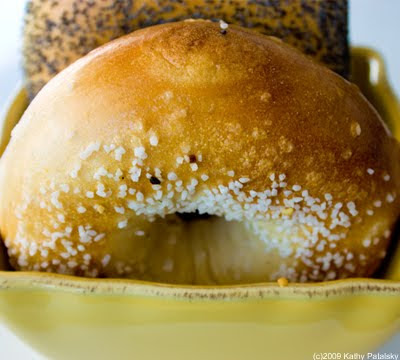 Taste Test: I must say I adore these bagels. The smell of them is enough to make my mouth water. 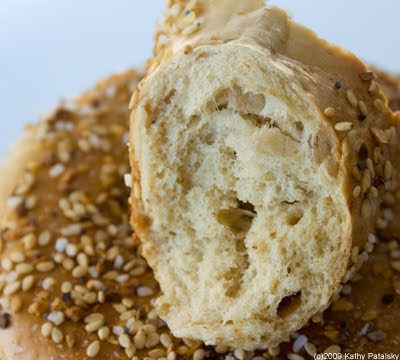 Then when you bite into a warm bagel it is chewy, soft, salty, silky and pretty much perfect. 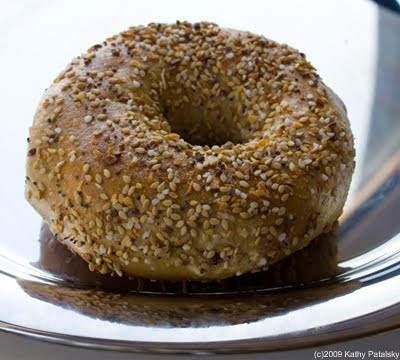 I never eat bagels without some tofu cream cheese or almond butter, unless they are H and H bagels. Eat them plain and they are divine. My fave flavor is the whole wheat everything. 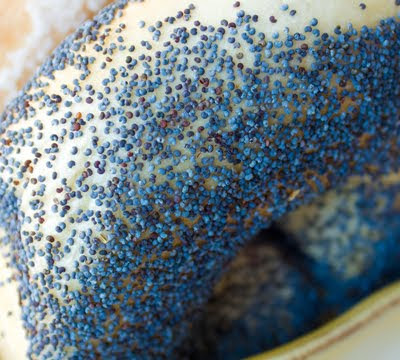 Also tasty is the pumpernickel and blueberry. I'm not a big fan of white flour bagels though. And you'd be surprised by hour smooth this whole wheat dough is! Trust me, it doesn't even taste like what most people call 'whole wheat'. 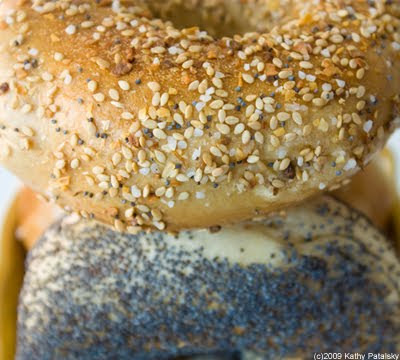 Price Check: A dozen bagels will run you about $13. That's about a buck a bagel-a little over. On the pricey end for sure, but not really. Freeze the bagels and they will last you a while. That's a lot of bagel bliss for $13 bucks.